If you follow me on Facebook then you already heard our exciting news! The day after Thanksgiving, seriously the day after, I found out I was pregnant. I had gone in to work and I was really exhausted. At first I thought that it was the combination of all the overtime and turkey that got to me. So after work I headed over to Walgreens and picked up a test thinking it couldn't hurt to check. Well to my surprise the test was positive! I had to do a double take b/c honestly it was a big surprise. We were not trying at all but I guess someone has other plans for us. :) I had my second appointment yesterday and all is well. 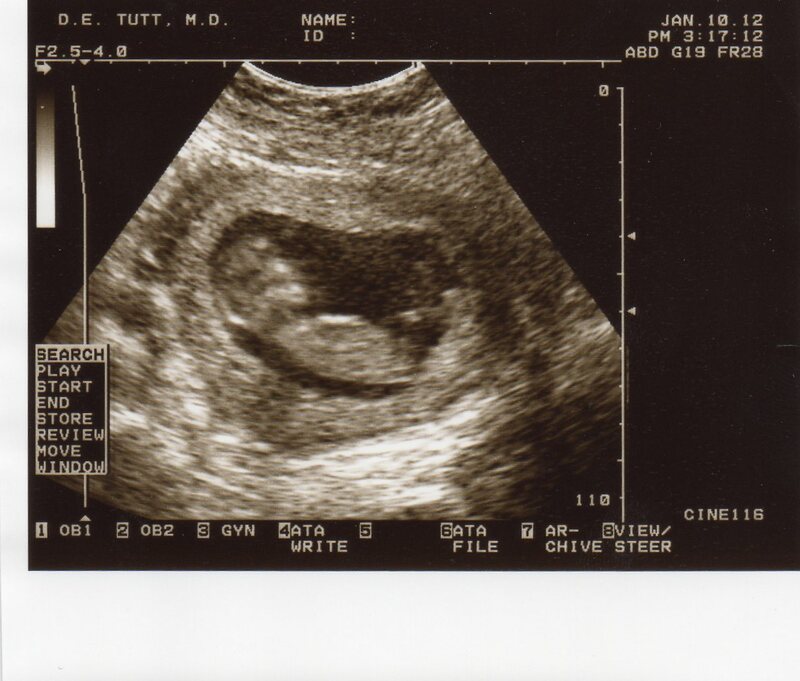 The Dr gave me an official due date of July 18th, they baby may come sooner, but that date felt good to us. So here is a new picture of pending arrival!